The American Oystercatcher (Haematopus palliatus) is a common sight on rocky and sandy beaches and saltwater lagoons on Galapagos. It has a bright red bill which it uses as an oyster shell opener. 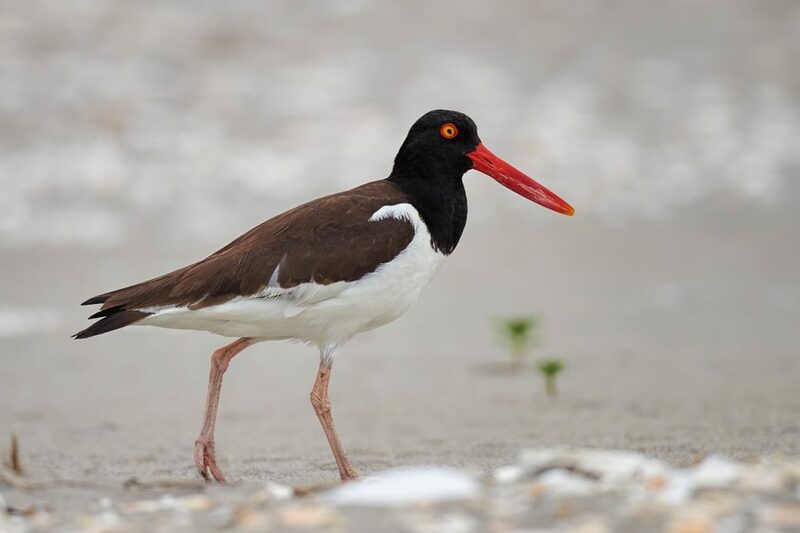 The American Oystercatcher has black and white plumage, the top part of its body and its wings are black, the underparts white. Find out more facts in the following article!